David Stone has developed a significant corporate law and corporate finance practice, concentrating on mergers and acquisitions, buyouts, recapitalizations, and lending for public and private companies. Mr. Stone has been a frequent speaker on business succession planning, mergers and acquisitions, corporate finance, and estate planning. He is the former leader of Bodman’s Business Practice Group and currently serves on the boards of numerous for profit and not for profit entities. 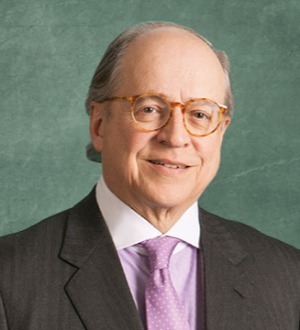 He is a member of the State Bar of Michigan (Finance and Business Law; Health Care; Probate and Estate Planning and Taxation sections), the American Bar Association (Corporation Banking and Business Law; Real Property; and Probate and Trust Law sections), and the Financial and Estate Planning Council of Detroit.